Combining and applying my passion for communication, technology and health on a professional level opened the door to many new opportunities. After more than 15 years of doing so, I am honoured to be one of the front-runners in anticipating and leading the disruption of the healthcare market. With more than 15 years of experience, Fulvio is passionate about digital technology and an expert in the health and wellness sector. His experience spans areas such as human-technology interactions and he has held multiple strategic roles in various company structures. 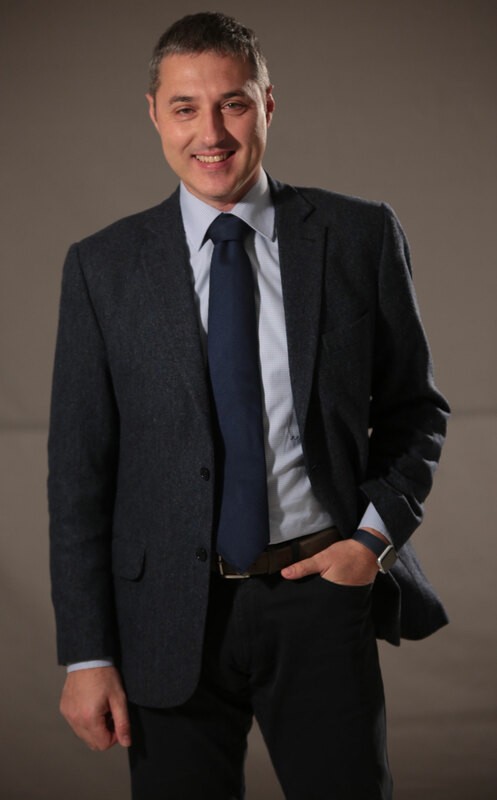 Born in Libya and raised in Italy, Fulvio embarked on his career by working in the family business while pursuing his graduate studies in law. In 1999, he started to work at Healthware Technology as Chief Financial Officer (CFO). In 2000 he was involved in the foundation of Healthware Multimedia - a partnership with Saatchi & Saatchi Health. In 2002, he became CFO of Healthware Group, a digital pure player agency offering a full range of services in healthcare communications across Europe. In 2004, he moved from finance to the business area, managing the Health Informatics division of the agency, focusing on the development of the eHealth business. Healthware was acquired by Publicis Groupe in 2007 and rebranded Publicis Healthware International (PHI). Between 2007 and 2010 multiple agencies were added to PHI and Fulvio stepped up to the role of Director of Operations, facilitating the integration of the various offices and leveraging technologies and new solutions development across the different countries. In 2010, Fulvio became the General Manager (GM) of PHI Italy and the following year he also took the responsability of General Manager at Saatchi & Saatchi Health Italy. In 2012, following the merger of Publicis Healthware International and Razorfish Health (also member of Publicis Groupe) leading to Razorfish Healthware, Fulvio became Managing Director of the integrated Italian presence of Saatchi & Saatchi Health and Razorfish Healthware. In 2015, as a result of the latest re-alignment leading to the conception of Healthware International, Fulvio is currently serving as Managing Director of Healthware International. With great interest in both sports and the quantified-self movement, he has witnessed on a personal level how the growth of digital technology can support health and wellness, and improve healthcare outcomes at the same time. Applying the convergence of these passions of communication, technology and health to his professional life, this has to led to Fulvio becoming one of the pioneers of the digital healthcare revolution.